Oh my, these little gems are absolutely gorgeous! This is my dreamy white chocolate & raspberry recipe post for Valentines day and trust me, your other half will be made up with these! I will certainly be making these again this weekend for my boyfriend as he loved them! These cupcakes have the colour of love filled inside from the fresh raspberry’s (with real chocolate chips running through the cakes too!) and the white chocolate ganache on top is just a taste sensation! I made these last weekend for my family and they were gone in two days 😉 I got the ganache recipe from The Great British Bake Off Show Stoppers Book and it tastes amazing! This recipe makes the ganache so it cools thick enough to pipe but it does advise that if you want runny ganache to pour over a cake use 100 ml cream and no butter 🙂 Honestly, you have to try it! Let me know what you think of this bake by adding a comment at the bottom of the page 🙂 p.s. if your looking for more treats for Valentines day check out these delicious ideas! Pre-heat the oven to 180oc and line your bun tin with cake cases. Add one egg and a little flour and mix. 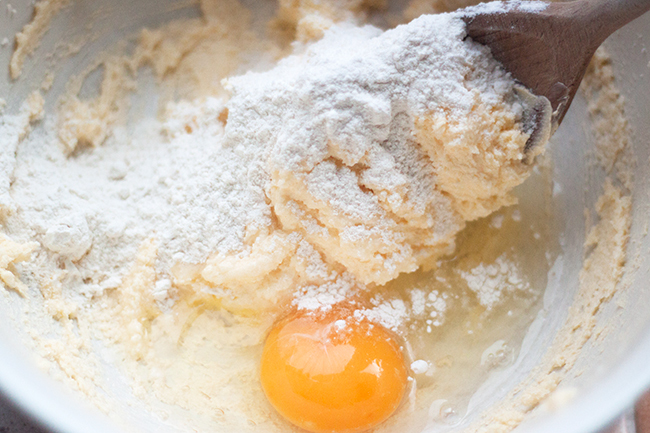 Then add the next egg, a little flour and mix. 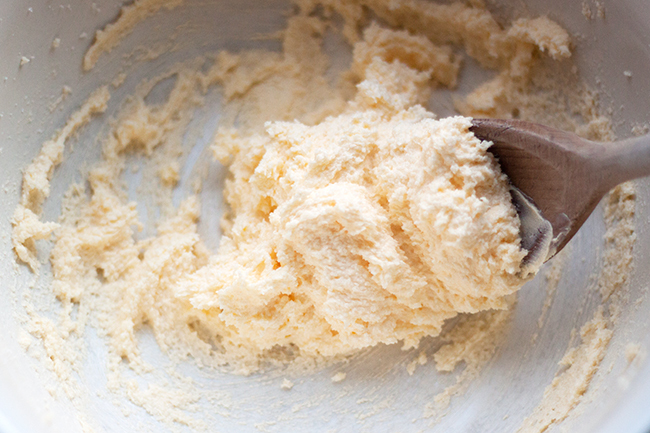 Once both eggs are mixed in add the rest of the flour and give it all a good stir. 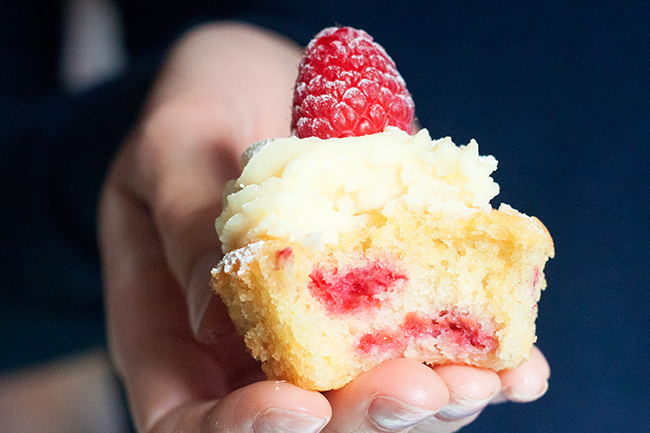 Add the vanilla extract, halved raspberry's and white chocolate chips and give your mixture a final stir. 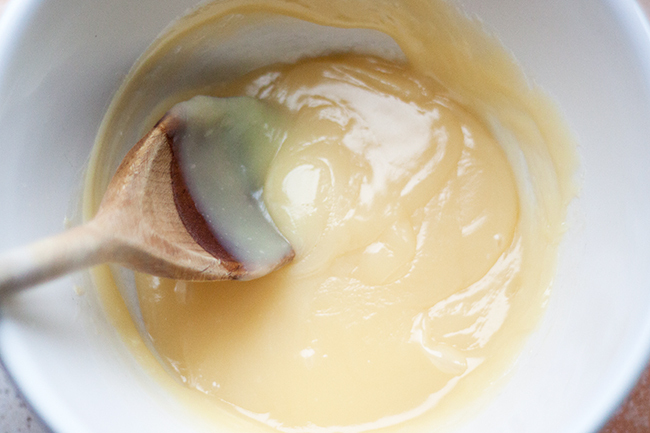 Once your cakes are cooked, leave to cool and then lets start the gorgeous ganache! 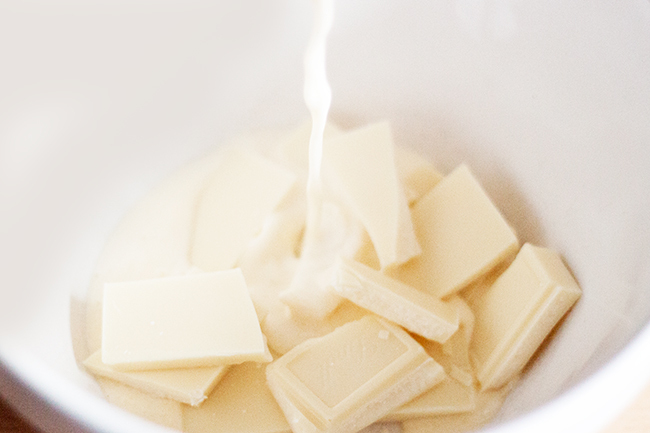 i love white chocolate. they look great! Would love trying this recipe! Need to know if you used any sugar in the ganache? Do 🙂 and let me know how it knows! Nope, no sugar it was sweet enough! How much sugar is added for the ganache mixture? It only says double cream butter and chocolate. Recipe sounds lovely, I’m going to try it. Hi, Thank you so much for pointing that out, I was getting confused why people kept commenting about sugar. Haha I need to be triple checking my posts instead of only double checking. Thanks again, Em. That is so lovely to hear 🙂 Thank you. Hi Emma. Just wondering if these cupcakes are suitable to freeze without the Ganache. Have you ever tried freezing them? Hi there Sue, I haven’t froze them before. I wouldn’t recommend it either as I do think cakes are at there best fresh! 🙂 And with the fresh raspberries in them I would equally be afraid of the juice/water on defrost making the cakes soggy! My ganache was very runny – any advice? Hi, how many cupcakes does this recipe yield? Thanks. Hi. With them containing fresh raspberries, I would advise you eat them within 3 days. 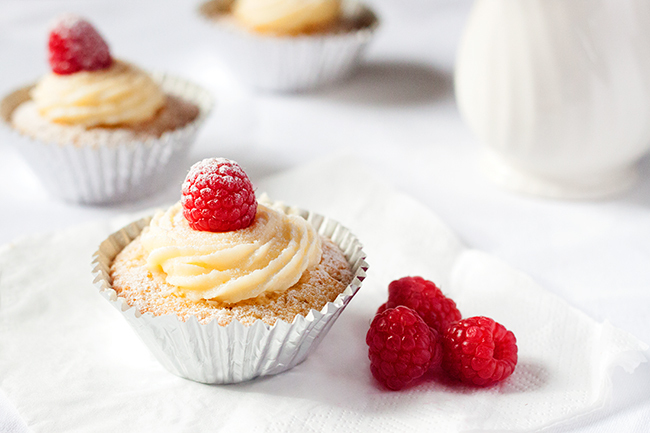 I’ve just picked some fresh raspberries so these are going to be lush! Oooo, delicious! I must make these again soon….there just yummy! I’ll give it a try when the next potluck rolls around.